Published Feb 6, 2017 By Julia 12 CommentsThis post may contain affiliate links. 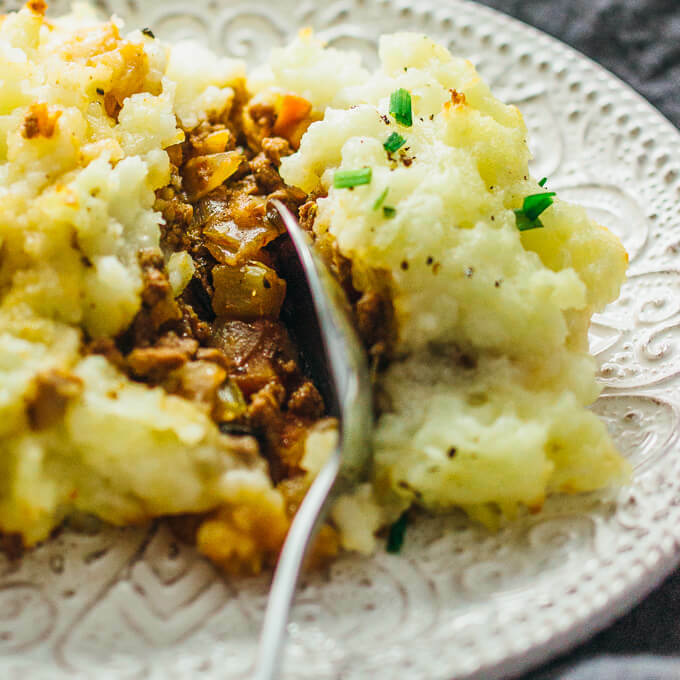 Need an Irish dish for St. Patrick’s Day? 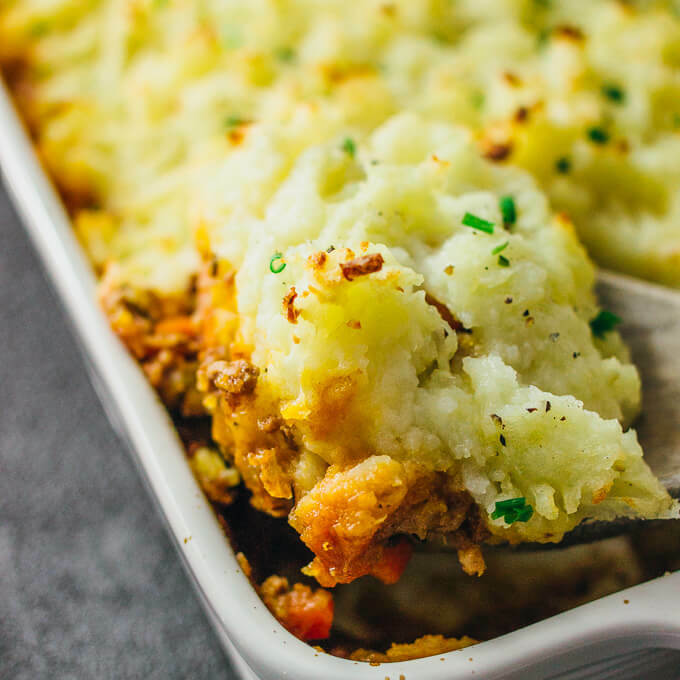 Make this traditional cottage pie, also known as shepherd’s pie: a comforting dish filled with ground meat, diced vegetables, and mashed potatoes. 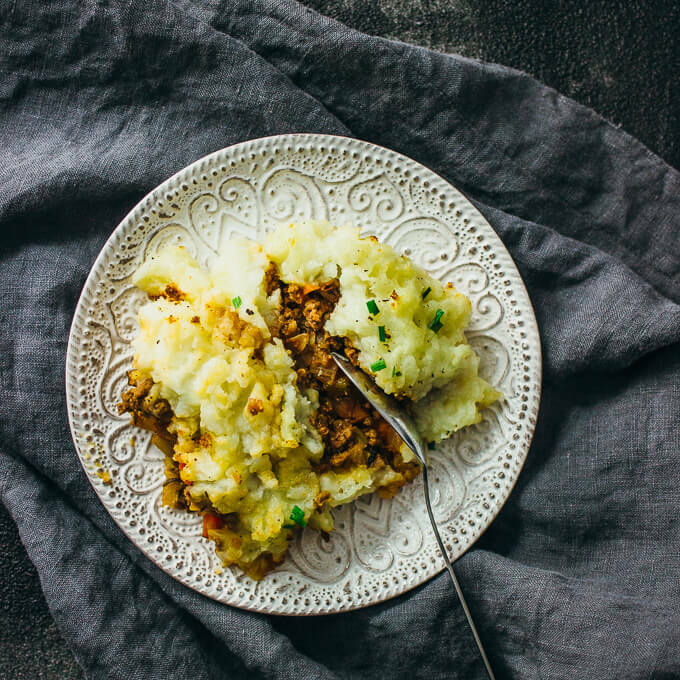 Cottage pie is the total comfort food package; I’m talking about a flavorful and rich meat pie with a thick mashed potato topping. 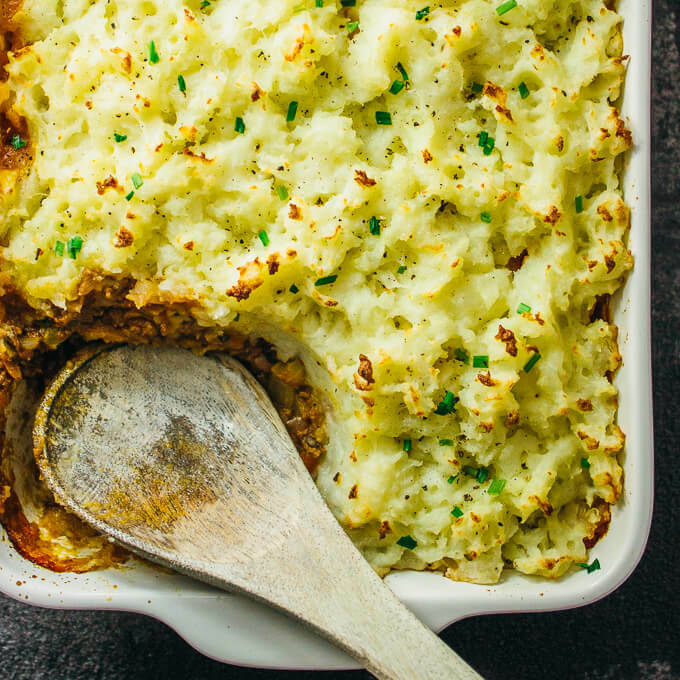 It’s sometimes referred to as shepherd’s pie, and the difference is that cottage pie has ground beef whereas shepherd’s pie has ground lamb. 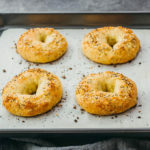 This dish is definitely one of my favorite Irish/Scottish dishes, as nothing really compares when you’re looking for something hearty for dinner on a cold winter night. I was inspired to develop this cottage pie recipe from a fantasy series I’m reading called Paksenarrion. It’s about a warrior who grew up in a rural town called Three Firs as a sheepfarmer’s daughter and runs away from home to join a mercenary company. She goes on adventure after adventure, battling evil priests, hunting down brigands, and fighting alongside elves. It’s a fantastic series of 3 books, and I’m currently on Book 3, which I’m “reading” via audiobook. This cottage pie is totally the kind of food they would serve in taverns described in the books. This dish reminds me of another book series and now popular TV show — Outlander — and in fact, both Paksenarrion and Outlander were published in the same year, 1992. 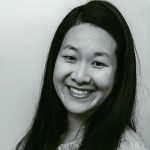 Outlander is about a World War II army nurse who travels back in time to the 1700s in Scotland, where she meets and marries a Scottish warrior, even though she’s technically still married to her present-day husband. Confused yet? 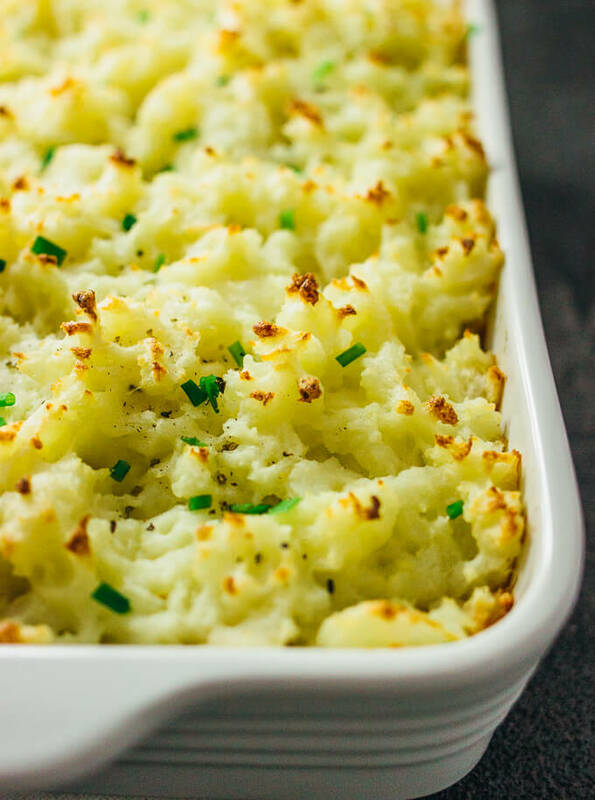 One of the Scottish dishes eaten by them is shepherd’s pie, as mentioned in the books. For another St. Patrick’s Day dish, check out this Instant Pot Corned Beef And Cabbage. 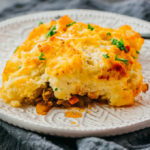 Make this traditional cottage pie, also known as shepherd’s pie: a comforting dish filled with ground meat, diced vegetables, and mashed potatoes. Cook the potatoes in boiling water in a large pot until tender, about 30 minutes. While waiting for the potatoes to cook, you can work on the next steps. Heat olive oil in a large pan over medium-high heat. Add beef, rosemary, thyme, salt, and pepper. Cook until the beef is no longer pink, breaking up the meat with a wooden spoon and stirring frequently, about 5 minutes. Add diced onions, celery, and carrots to the pan. Cook until the vegetables soften, about 5 minutes, stirring occasionally. Add beef stock, tomato paste, and Worcestershire sauce to the pan, stirring well as it simmers. Reduce heat to medium-low and let it continue to simmer until the sauce is thicker, about 15 minutes. When the potatoes have finished cooking, drain well. Add butter and parmesan cheese to the pot with the drained potatoes. Mash until smooth. Add the meat mixture to a 2 quart baking dish, flattening it along the bottom. Spoon the potatoes over the meat, using a fork to rough up the potato surface. Drizzle with olive oil. Bake at 400 F until the peaks of the potatoes are crispy, about 30 minutes. Garnish with chives and freshly ground black pepper. This was delicious! I made it just as instructed for my family for St. Patrick’s Day – we all thought it was great, thanks! 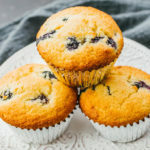 This was fantastic and easy to make! Thank you for sharing!!! Was looking for a cottage pie recipe and nearly fell off my chair when you mentioned Outlander and Deeds of Paksenarrion. Although Paks was not originally released in 92 as I read it in High School and graduated in 1988. It is one of my favorite books!!! My favorite book….Outlander which I also read when it was released which was 92 I believe. Anyway, trying your recipe tonight? Did you finish all the books? Hi Danielle! I’ve read (and re-read) all of the Paks books — they’re still one of my favorite series! I haven’t read Outlander but I watch the TV show. You might enjoy books by an author named Robin Hobb (https://en.wikipedia.org/wiki/Robin_Hobb_bibliography). I absolutely love her writing! Start with The Farseer Trilogy (the 1st book is Assassin’s Apprentice). She has multiple trilogies that follow one after each other in the same world. I’ve been “reading” them via audiobook and the voice acting is fantastic. I never post comments… I just had to chime in here. The Outlander book series is fantastic, much better than the TV shows. I personally prefer the books after the 3rd. I second your comment about Robin Hobb and the audiobooks. She is an amazing storyteller. Because of your great taste in books, I’ll have to check out Paks. As for the recipe, it’ll be dinner on Sunday. Thanks! You’re welcome! I’m always excited when I see another Robin Hobb fan. I’m currently working my way through her Elderling Realm books. I finished The Farseer Trilogy, Liveship Traders Trilogy, and The Tawny Man Trilogy; right now I’m in the middle of The Rain Wild Chronicles. I love how her characters are so realistic and relatable 🙂 I hope you get a chance to check out Paks soon! Haven’t try it yet! Can’t wait to make it! Best part is that I am Irish! Rave reviews from my friends! I added green peas and substituted sweet potato for half of the russets. I also added about half a cup of some leftover rich beef gravy. Merlot was a great pairing! A keeper!